Imagine if you were suddenly responsible for a costly and incredibly famous family heirloom. You had no idea this heirloom even existed, but now you are the one who has to protect it from the people who are trying to steal it. Your main source of information is unreliable at best, and you are about to go to work for the family who owns the heirloom. Yeah. That’s Kate Allen. 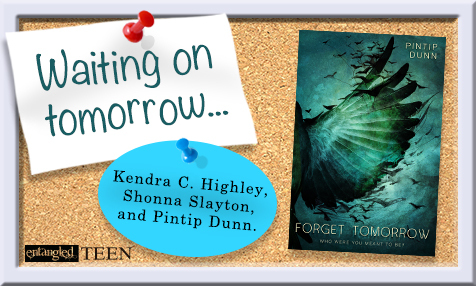 She recently found out that Cinderella passed down her famous items to her descendants, and Kate’s family is charged with keeping them safe and out of the evil stepsisters’ descendant’s hands. It’s Kate’s turn to be the next Keeper of the Wardrobe, and in Cinderella’s Shoes, she learns the job is even harder than she thought it would be. Princess Kolodenko is as regal as her title suggests. Her expectations are high, and Kate is worried she won’t measure up. Chauffeurs and fancy hotels are foreign and intimidating to Kate, and she is thrust into this new world with everyone expecting her to know what she’s supposed to do. Everyone wants something from Kate. From her mom to her boss, to her friends, to Cinderella’s descendants. She finds it overwhelming at times to try to be and do everything that everyone else wants. How does she balance the rest of her life with this mysterious role that has been passed down to her? What if she messes up? So many people are counting on her and only a handful of them know the stakes. If only she could pause long enough to realize—and enjoy—the new role she’s been thrust into. It’s a legacy unlike any other. Keeper of the Wardrobe for Cinderella’s family. What everyone thinks is a fairy-tale is actually true, and Kate is an insider, no, a major player in protecting this legacy. But she has very little time to pause and reflect, because now she has to find the missing glass slippers. What Kate needs is a moment. A moment to reflect and think about this marvelous change and opportunity in her life. She is privy to information that very few people have. And yes, the responsibility is weighty, but so is the reward. 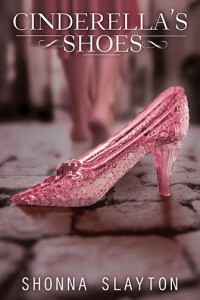 Happy Release Day to Cinderella’s Shoes! #MyCinderellaShoes: What Shoes Make You Feel Like Cinderella?